Choose a video you would like to watch! Crossed-stitches are a basic principle of crocheted cables. View this clip to learn the cross-stitch that is used in the Every Baby's Blanket project in the summer 2015 issue of Crochet! Use the spanning 2-treble crochet decrease in the Summer Dawn Throw in the summer 2015 issue of Crochet! Learn the stitch and understand the spanning decrease technique for other projects. View this useful video clip illustrating how to make the extended single crochet. Though you'll find this stitch in many patterns, it's used in the Poppy Topper in the summer 2015 issue of Crochet! Crochet! Editor, Ellen Gormley takes you on a virtual tour of the stunning projects found in the spring 2015 issue of Crochet! Adorn yourself in fashion with lovely vests, tunics, tanks and a floral tote. Find a wide array of projects from beginner to advanced including fashion-forward garments, simply stunning scarves, cool and clever garments and more! Plus, discover sweet items for girls and gorgeous colorful accents for the home. Be sure to view the stitch tutorial on the extended Solomon's knot used in the Little Sister Shawlette. Get all this and more when you purchase the spring issue of Crochet! magazine. In this video tutorial, Crochet! editor, Ellen Gormley, demonstrates the Extended Solomon's Knot stitch used in the Little Sister Shawlette by Rebecca Velasquez. Crochet! Editor, Ellen Gormley takes you on a virtual tour of the stunning projects found in the winter 2014 issue of Crochet! Wrap yourself in fashion with lovely vests, pullovers, cardigans and a coat. Find a wide array of projects from beginner to advanced including fashion-forward garments, simply stunning scarves, warm and wonderful wraps and more! Plus, discover sweet items for girls and gorgeous colorful accents for the home. Be sure to view the stitch highlight video with a tip on working the ‘back-to-front’ single crochet used in the beginner Illusion Scarf. Get all this and more when you purchase the winter issue of Crochet! magazine. Join Ellen Gormley for a sneak peek at the fashion-forward crochet patterns found in the autumn 2014 issue of Crochet! magazine. Get ready for cool weather by crocheting stylish vests, cardigans featuring beautiful stitch definition, and sweaters with lacy details. Try your hand at stitching accessories perfect for keeping warm and stylish -- like fingerless crochet mitts, hats and bags. Plus, find projects for home decor like crochet afghans and rugs. Watch this video and get a FREE lesson on how to crochet broomstick lace. Don’t miss out! Order your copy to get these crochet patterns today. Join Executive Editor Carol Alexander for a sneak peek into the summer 2014 issue of Crochet! magazine. This issue is filled with colorful crochet patterns perfect for warm-weather stitching. Find lightweight scarves, brightly-colored jackets and cardigans, and unique crochet jewelry designs. Discover crochet patterns to make coasters, stitch cozy throws, huggable pillows and so much more! Don’t miss out. Watch this video and order your copy today! Watch this short video to learn how to expand the shell-like limpet stitch into a double version to add extra texture or a unique flair of color to your crochet pieces. Subscribe to Crochet! magazine to keep up with the latest techniques, stitches and trends! Join Editor Carol Alexander for a sneak peek into the Spring 2014 issue of Crochet! magazine. Filled with easy-to-follow instructions and full-color photographs, this issue features designs for crochet sweaters, vests, scarves, purses, clothing for children, beaded crochet jewelry -- plus, items for home decor like an adorable tea cozy, a throw, table runners and more! Join editor Carol Alexander for a look inside Crochet! magazine's winter 2013 issue. Find crochet patterns for the whole family: mittens, socks and slippers, clothing for children, cozy crochet afghans, shawls, vests, capes, a fabulous asymmetrical cardigan and so much more! In addition to these compliment-worthy crochet patterns, you'll also find an article teaching you how to jazz up single crochet with new variations. Check out the video to learn more! 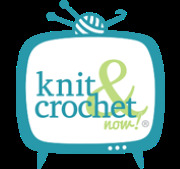 Watch a short video to learn how to crochet the woven stitch. Subscribe to Crochet! magazine to keep up with the newest crochet trends! Join editor Carol Alexander for a look inside Crochet! magazine's autumn 2013 issue. Find beautiful crochet patterns for clothing and accessories for fall -- like crochet sweaters, fashionable hats, cozy boot toppers, luxurious wraps and so much more. Crochet! magazine editor Carol Alexander gives you a peek inside the summer 2013 issue. Find the perfect crochet touches to dress up your summer wardrobe with patterns for shawls, hats, a purse, a lace tunic and so much more. These crochet patterns will inspire you with their unique and stylish designs. Join editor Carol Alexander for a look inside Crochet! magazine's spring 2013 issue. This issue contains crochet fashions to help transition your wardrobe from cool winter styles to fresh, fun spring looks. Kick your winter wardrobe up a notch with the fashionable crochet projects in Crochet! magazine. In this video, editor Carol Alexander will introduce you to the chic styles and helpful articles found in Crochet! magazine's winter 2012 issue. Believe it or not, cool weather is coming. Make sure your wardrobe is ready with the fashionable crochet sweaters, accessories and more found in the Autumn 2012 issue of Crochet! magazine. This short video will introduce you to the Autumn issue’s fabulous crochet projects. Preview the stylish, warm-weather crochet patterns in Crochet! magazine’s Summer 2012 issue! Get a glimpse of the crochet patterns in Crochet! magazine's Spring 2012 issue, our 10th anniversary issue. Glance at the fabulous crochet patterns in Crochet! magazine's Winter 2011 issue! Join Carol Alexander, editor of Crochet! magazine as she takes you on a short journey throughout the Autumn 2011 issue.